Trailer Weight Ratings for Aluminum Trailers - Built In NH. Curb weight is what the empty trailer physically weighs. All curb weights listed on our website are approximations of typical trailers that we have built in the past. Curb weights can increase or decrease depending on what features and options are or are not installed on a particular trailer. Example: We’d expect our typical 7′ x 14′ snowmobile trailer (SNO 714) to weigh 1900# with a 6’1″ interior height, kickboard interior, and spare tire. If this trailer were to be upgraded to 7′ interior height, finished interior walls, finished ceiling, insulated, with an air conditioner on the roof then it would weigh several hundred pounds more. 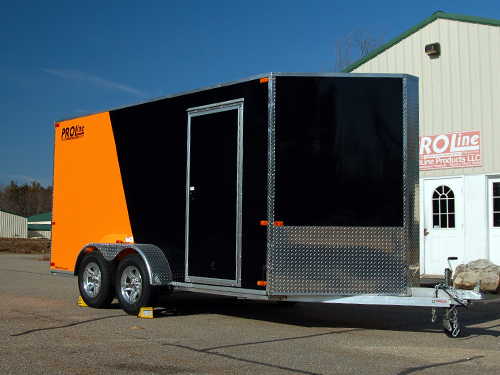 If you’re concerned about the curb weight of the trailer please call us prior to ordering for a better approximation of what a trailer will weigh with particular options installed. 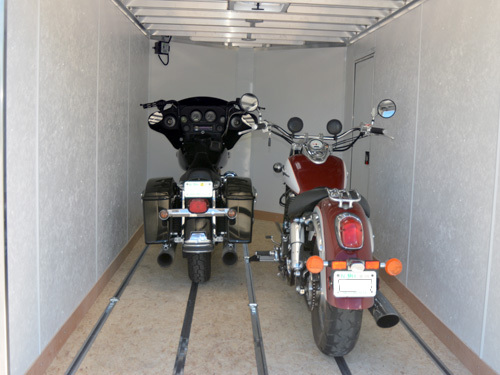 Gross Vehicle Weight Rating (GVWR) is the maximum operating weight for the trailer. In other words the contents of the trailer plus the curb weight of the trailer can never exceed the GVWR. Payload Capacity is how much weight you can put into your empty trailer and is a function of GVWR and Curb Weight. Payload capacity is calculated by subtracting curb weight from the GVWR. Example: A trailer with a 7000# GVWR that has a 1900# curb weight has a payload capacity of 5100# (7000# – 1900# = 5100#).